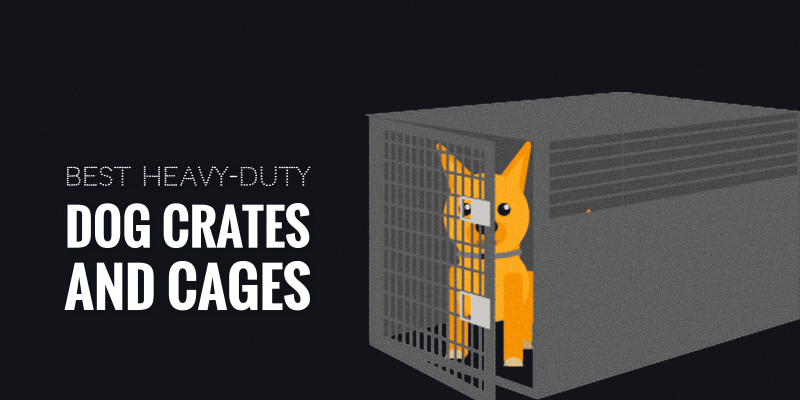 What are heavy-duty dog crates? When should I use a heavy-duty dog cage? 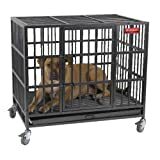 Professional dog cages come in very different shapes and forms and the best heavy-duty dog crates are some of the most expensive models in this large category. Because of their high price tag, it is important for buyers to make an informed decision on which heavy-duty crate to buy. 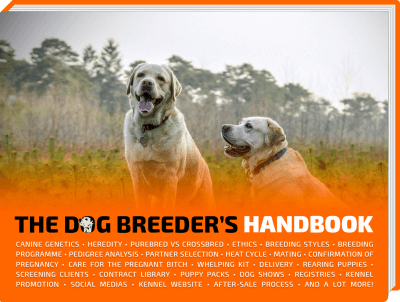 The last option is what we are reviewing in this article: heavy-duty dog crates. Such professional-grade cages for dogs are built to withstand even the most aggressive and agitated dogs, as well as the smart escape artists. This article should help you understand whether or not you should buy this specific type of crates for your dogs, or perhaps go with a more mainstream option. A heavy-duty dog crate may also be known as a dog cage or kennel. Some dog owners require an area of short-term confinement for their dog for numerous reasons, usually for travel or training purposes. They are also ideal for short periods of time where you are unable to supervise your dog. However, crates should not be used as a long-term solution to a problem you may have with your dog. It is also recommended that you crate your dog for no longer than a maximum of 6 hours per day. When your dog is outside its crated environment, it should be given the opportunity to socialize and exercise. Dogs may be den animals in one respect, but they are also pack animals in another and this should not be forgotten. When choosing a heavy-duty dog cage for your dog there are many factors to consider such as size and durability. 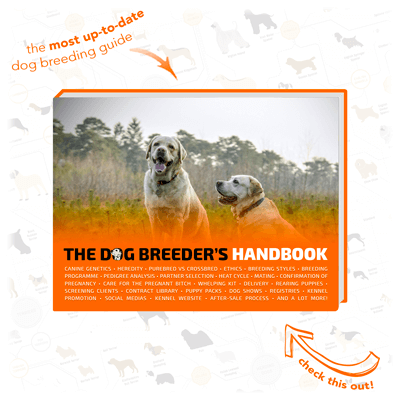 These will vary according to the breed, age, and temperament of your dog. Dog cages are often cheap to buy because manufacturers opt for low-cost, low-quality materials which lack durability such as plastic, thin wire, and fabric. This is no good for a dog owner with a puppy who is prone to chewing! Cheaply made crates can also have flimsy doors and bolts, increasing the chances of a particularly strong dog escaping. 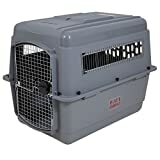 As expected, heavy-duty dog crates come with a considerably higher price tag — sometimes 10 times the price of a cheaply made cage. Heavy-duty dog cages tend to be made of reinforced metal such as aluminum or steel — heavy but indestructible! Although these cages tend to be more expensive, you cannot put a price on the safety and security of your dog. Heavy-duty dog crates are best used when you have a dog that is powerful and possibly destructive. Your dog may have already forced its way out of a regular K9 crate several times before. Or, maybe it cannot be left unsupervised in your home without chewing furniture or stealing food. Even puppies — as small and cute as they are — have strong jaws that can chew through a cheap dog crate. Chewing poses a risk to the dog internally, as it may swallow what it chews. It also means you cannot trust your dog to stay contained, causing you stress and worry. Heavy-duty crates are also recommended for rail and plane journeys (i.e. IATA dog crates) as they provide safety and security for your dog in public environments. You don’t want your dog to get lost or stolen. They are also safer for car journeys as they are less likely to crumple upon impact in the event an accident. A professional crate may save your dog’s life. If you are questioning whether to purchase a professional dog crate, the peace of mind will probably be worth the cost! This way you know that your dog and your home are safe from harm. Leaving a dog with destructive tendencies in a poorly manufactured cage is pretty much asking for trouble! On another hand, if you are not after a professional-grade crate for your dogs, you can invest in one of our recommended soft dog crates. These are great for more regular situations, such as with a calm dog or for very short periods of time. We know it can be difficult to work out which cage is right for your dog, so we’ve put together a list of the best heavy-duty dog cages! As explained previously, the overall solidity and durability of the crate matter the most. These professional products are not necessarily focusing on a decorative look but rather the practicality of the cage and its ease of operation (openings, safety locks, wheels, cleaning trays, etc). The Pro-Select Empire Dog Cage is made with indestructible steel tubing, heavy-duty bonding at stress points and two sturdy door latches. It boasts a 20-gauge steel 0.75″ frame, fortified by 0.5″ Diameter steel tubes, making it one of the most robust cages on the market. Additionally, it comes with four removable steel casters and a steel leak-proof tray. The Pro-Select Crate comes in a grey or pink finish, which is both rust-resistant and long-lasting. Sizes are available in medium, large or extra-large. 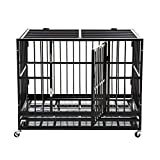 This cage is perfect for boisterous or powerful dogs who can chew or claw their way out of just about anything. Some say it has the potential to be classified as one of the world’s strongest dog cages. 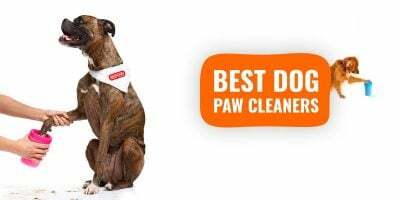 Many owners turn to the Pro-Select Empire after trying various cheaper versions that have all promised to keep their dogs confined and failed. Dog owners have complete peace of mind as the crate is designed to be 100% escape-proof. The crate has wheels, so you don’t have to worry so much about its weight so much if you need to move it. Holds extra-large dogs securely. Easy to assemble. Easy to clean because of its floor grate and tray. Vet-approved. It has secure bolts that can only be opened from the outside. Although paint is considered long-lasting, it chips a lot faster than some other crates on the market. This crate isn’t exactly the prettiest to look at, but it helps that it comes in a choice of colors! Note that the cage does not collapse or fold, and would be too heavy to travel with on public transport. It is also very expensive compared to other heavy-duty crates; but to me, it is the best! The Zinger Winger DX5000 is crafted from lightweight aircraft-grade aluminum which is best known for being strong and resilient. This model also includes a flush mounted slam latch with a lock and key function to provide added security for your dog. No one will ever merely open the crate and sneak off with your dog. This is one feature that many other heavy-duty crates on the market lack. It’s also perfect for those Houdini dogs who know how to slide a latch with their tongue and escape! The crate is composed of sheets of aluminum along the sides and back, all containing rows of air holes. Air moves freely through the grated front door and surrounding air holes. 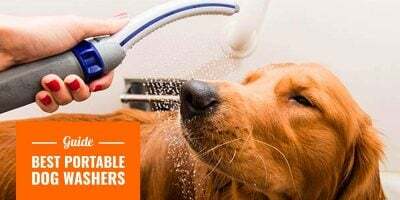 This is especially great for keeping your dog cool on those hot summer days. Optimum ventilation will help to ensure that your dog remains secure, yet comfortable. The crate also contains aluminum which is rust-resistant and known as a very durable material. It also has a long-lasting Silver Hammerstone finish both inside and out to prevent it wearing off and discoloring your dog’s coat. The Zinger Winger DX5000 has a net weight of 49lbs and can hold up to 150lbs of dog. Ideal for traveling as it’s light enough, it can also be moved by one person. Remember, aluminum weighs only one-third of the weight of steel. The crates can be stacked alongside or on top of each other to form a larger dog crate structure. This is very efficient and saves space, as well as being extremely convenient to professional breeders with kennels and runs. These cages offer very effective ventilation while the lock and key mechanism provide extra security to keep your dog safe. Most dog owners will overlook the price tag because of the crates outstanding quality, describing it as a once in a lifetime purchase. Zinger Winger offers a 90-day “No Escape” Money Back Guarantee to put you at ease. For beginners, this professional product may take a bit of time to assemble. It is also Expensive compared to other heavy-duty crates on the market but this is most likely due to the aluminum used during its manufacturing. Lastly, it only comes in one size — 28″ (W) x 32″ (H) x 40″ (L). The Sliverylake XXL Dog Cage comes in one size — XXL! This bad boy has a sturdy steel frame welded together for extra strength. 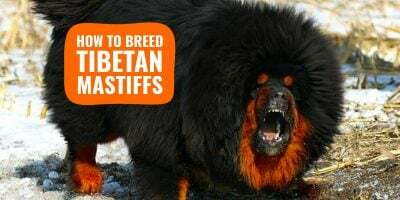 As its name may suggest, it is built to accommodate up to 330lbs of hefty canine, even though it only has a net weight of 83.2lbs! Its overall dimensions come in at 48.8″ (L) x 33″ (W) x 37″ (H). Don’t let its large size fool you as this crate is still built for convenience. It has a fold-down mechanism and rolling steel castors, so you can take it anywhere! the front door has two. The crate also has a grated bottom with a steel tray which collects dirt and slides out for easy cleaning. This durable XXL crate comes in a pleasant silver-grey finish. It has four wheels so it can be easily moved around. 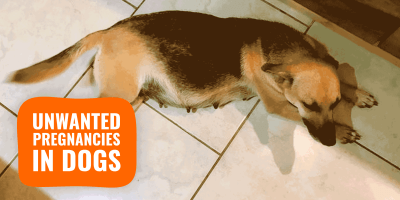 Two wheels are lockable to prevent your dog from rolling around the place when you don’t want him to! Compared to other products, this pro crate is easy to assemble and relatively cheaper. It holds even the largest dogs such as Bullmastiffs. Unfortunately, the Sliverylake XXL Dog Cage only comes in one size. 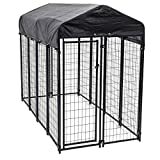 The locks are not as sturdy as some of the other cages on the market — this crate may be suited to dogs with a calmer, less destructive temperament. The silver-grey finish tends to chip off if dogs bite or chew the crate bars. If you’re a frequent air traveler and worry about the comfort and security of your pooch, then the Petmate Sky Kennel might be the crate for you! It is IATA-compliant and made using heavy-duty durable plastic. It is designed with a vault-lock mechanism, as well as some added goodies. These include identification and “Live Animal” stickers and clip-on food and water bowls so your dog will never be hungry or thirsty whilst traveling. The crate also contains absorbent materials, allowing your dog to drink comfortably, whilst staying dry. The Petmate Sky Kennel has 360-degree ventilation to make your dog’s journey as comfortable and stress-free as possible. Its steel wire door and the four-way latch will keep your dog fully contained, so you can relax and enjoy your journey without worrying that your pet has escaped in the luggage hold below! This heavy-duty kennel comes in 6 different sizes —all are extremely lightweight— with a carry-case style. It has as a vault-style door for extra security and a 4-point locking mechanism, so your dog isn’t going to work that one out! Since it is constructed from sturdy, chew-proof plastic which is cheaper than other metallic crates on the market. Described as some of the safest pet transport in the world, it was not really designed for permanent use at home as it’s quite compact and doesn’t let much light in. Please note that there are no wheels, thus making it difficult to travel with heavier dogs. The Lucky Dog Uptown Welded Wire Kennel is best described as a home within a home for your dog! It’s the perfect long-term kennel run for dogs that enjoy the great outdoors. With its high slanted roof and waterproof cover, your dog will be from the cold and the elements. Rain, snow or debris will simply slide off the roof, rather than accumulating on top. The roof cover has integrated UV protection to prevent it fading, splitting or peeling. It’s held down by strong elastic cords which will not stretch or snap and are close-fitting so you won’t have to worry about rainwater leaking in. The kennel is comprised of rust-resistant metal and stainless-steel welding, making it robust in nature (but with no sharp edges!). The gate has a latch mechanism which can be secured with a padlock for increased security for your dog. The entire cage is covered in black, rust-resistant powder to prevent corrosion and increase durability. The high roof is great for dogs who are proven escape artists. Optimum ventilation for the dog as the crate is kept outside. Easy to assemble — it can be up and running within minutes! Easy to clean. The legs are raised 1.5″ off the ground preventing the build-up of dirt and bacteria. It comes in 3 sizes, so you can choose the right fit for your pet! Cheaper than a lot of other heavy-duty cages on the market. Value for money! Lucky Dog pet brand has been in operation for over 20 years and their products have an immaculate reputation. Their ethos is that every dog deserves a good home and should be given the gift of safety. For outdoor use only. You may have to purchase an additional crate if there are times you would like to have your dog crated in the house. This outdoor kennel accommodates dogs of all sizes.